First their friends named the new University of Washington computer science building in their honor. 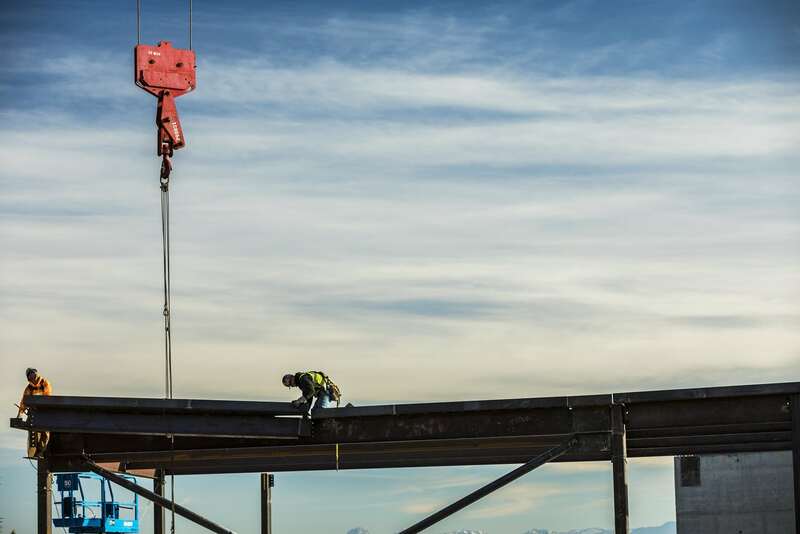 Now Bill and Melinda Gates have contributed $15 million to complete the fund-raising drive for the project, which marks a construction milestone on Wednesday. The building, which is expected to more than double the number of computer science majors the UW can accommodate when it is completed in 2019, was named for the Microsoft co-founder and his spouse after Microsoft and several current and former executives collectively contributed $30 million to fund its construction. A “topping out” ceremony during which the final steel beam will be placed on the building is planned for Wednesday afternoon. Construction is about halfway done. Crews will now focus on the envelope and interior of the Bill & Melinda Gates Center for Computer Science & Engineering. With the latest donation from the Gateses—which came via the personal philanthropy office of the Bill & Melinda Gates Foundation—the UW has raised $110 million for the project from 350 individual donors, other tech companies including Amazon, Google, and Zillow, the Washington legislature, UW construction funds, and the UW budget—the latter three sources accounting about $41.5 million of the building’s cost. The Paul G. Allen School of Computer Science & Engineering—renamed earlier this year for the other Microsoft co-founder on the occasion of its 50th anniversary after a $50 million endowment from Allen and Microsoft—continues to raise private contributions. The focus of ongoing fundraising is scholarships, faculty recruitment, and investments in entrepreneurial research, the UW said in a news release.